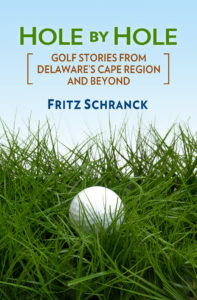 Another sign of the growing impact of golf in the Cape Region appeared on Friday, February 18. That’s when the new Ruddo’s Golf store on Route 1 began its “soft” opening. In the retail trade, a soft opening is the term used to describe the first few weeks of a new business location. The management typically uses this time as a break-in period to familiarize their staff with the inventory and operations, in preparation for an official opening event. “I think we’ll be having our own grand opening sometime in March,” Marshall said. Marshall and Ruddo like their chances at the store’s location at a new shopping center on the northbound lanes of Route One, just north of Webster’s Furniture Outlet. “I love the visibility. I think there’ll be a lot of golfers coming by here on their way to Ocean City and on the way back, as well as the golfers who are playing the Rehoboth area courses, Marshall said. 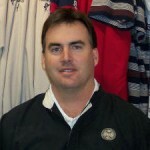 Marshall has an established golf career, most recently as the PGA Class A head golf pro at Bear Trap Dunes in Ocean View for the last six years. Ruddo is also a PGA member, and his Ruddo’s Golf store on Route 611 in West Ocean City, Maryland, has been open for several years. Marshall said the two men discussed this potential Cape Region opportunity for over two years, and once they learned of the new shopping center, they decided to move ahead with their plans. Marshall said they will carry a full line of equipment from all the major manufacturers, and will also sell inexpensive full sets of golf clubs to beginners in a price range from $199 to $299. They will also emphasize apparel and an assortment of golf shoes, which already fill much of the new store’s layout. “When it’s full we’ll have 1,000 pairs of shoes in stock,” Marshall said. Cape Region golfers are invited to stop by and visit the new store at 17269 Coastal Highway. The phone number is 302-227-1520. Pete Oakley said his ego was a “little bit wounded” after his final round performance in last week’s Ace Group Classic in Naples, Florida. As he discussed how he finished tied for 67th place, however, The Rookery’s Director of Golf also showed he understood why he dropped back from 32d after the second round, only one-over for the first 36 holes. Oakley steadied himself after that fiasco, playing par golf the rest of the way. “These guys are really good. Most of them are hitting 15-20 yards past me on their drives, and that makes a huge difference. They can hit a 7-iron to the green when I’m using a 4-iron. I have to stick to my own game plan,” Oakley said. Sometimes that’s easier said than done, even at the professional level. Oakley’s next Champions Tour stop is at the TPC of Tampa Bay, the Outback Steakhouse Pro-Am. The three-round event begins today.